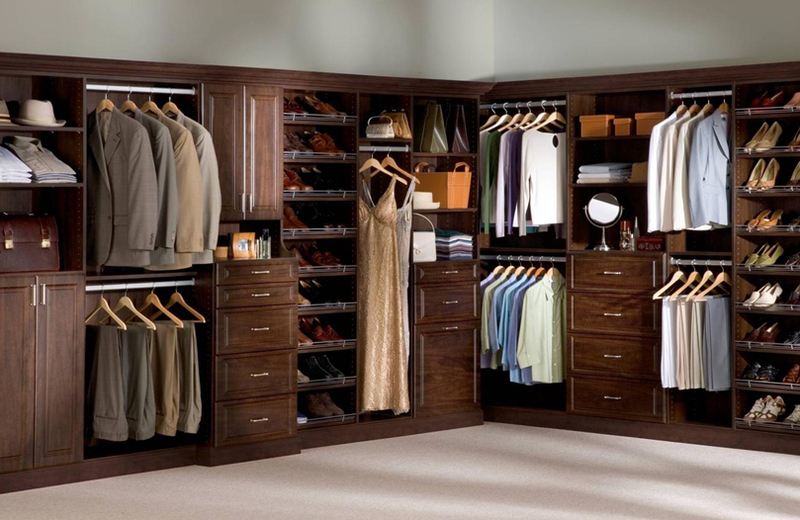 We are very proud of the gorgeous laminate closets that we have designed and installed all over north central Illinois and south central Wisconsin and beyond. Strikingly beautiful wood grains, soft pastels and some really unique textures to choose from will make your closet or dressing room very special. Let us turn that extra bedroom into a dressing room that you will be proud to call yours. Please enjoy our slideshow below.